This kick down door stop comes in a neat aluminium finish. 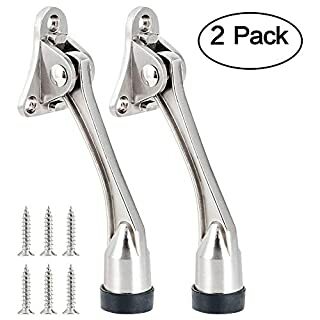 This product is easy to operate and comes complete with fixing screws. It weighs 125g and its measurements are 125mm by 25mm. 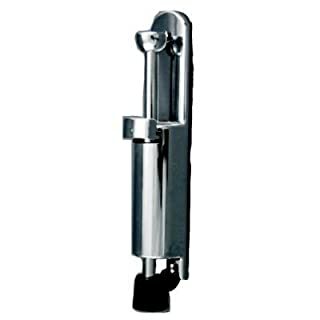 Architectural quality door stop from Frelan Hardware's Designer Jedo Range. 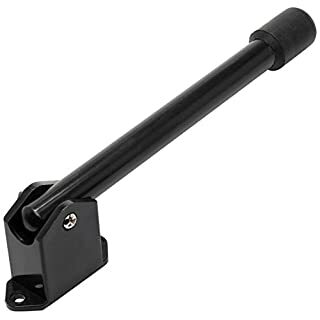 A satin chrome door stop with black rubber buffers - The finish is top quality and very contemporary. Stop an open door blowing in the wind by a more simple and effective way! 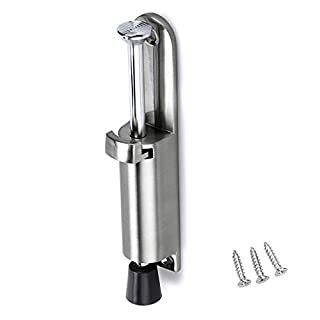 Hand free door stop, step-on application and release for convenient; Spring loaded mechanism, adjustable and suitable for many kinds door; Neat device that is fashional and all-match for your house. 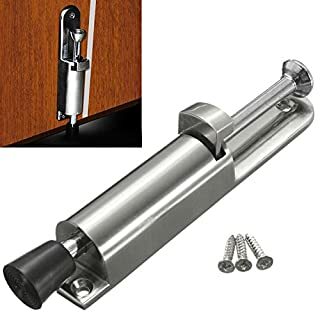 Welcome to our shop, all the high quality products and low prices to meet your requirement!Description: - Come with 2pcs, suitable for all kind gaps of door. 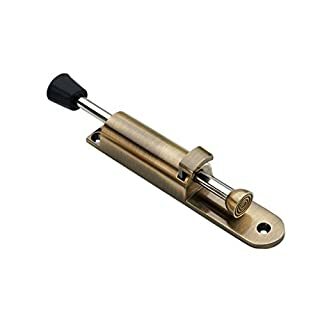 - There is a strong spring in the door stopper, we just need little strength to step it, then the door stopper will be fixed. 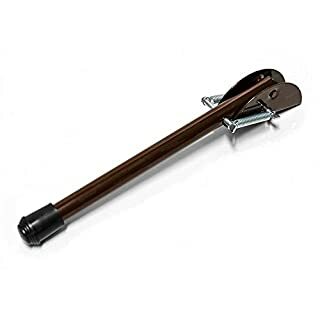 It is quite useful for elder people. 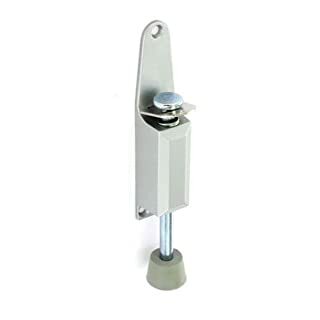 - The soft rubber made door stopper can protect your any kinds ground or carpet. once stepped down, it will be fixed firmly, specially provided for children through the door. 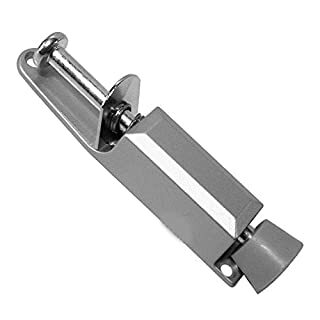 - This Door stopper is processed with wire drawing, making it shining and fashionable. - It is a perfect partner for your home or office doors.Specification: - Material : Zinc alloy - Size(LxWxT): Approx. 148x28x24mm/ 5.82x1.1x0.94inchPackage Includes:2 Pieces Door StopNote:Please be reminded that due lighting effects, monitor's brightness/contrast settings etc, there could be some slightdifferences in the colour tone of the website's photo and the actual item.Item Measure by hand, it could be 1-2 cm different. hope you can understanding, will be sincerely appreciated. 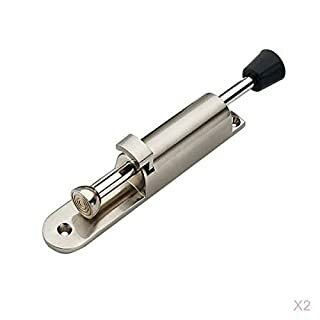 Description: - Suitable for all kind gaps of door - There is a strong spring in the door stopper, we just need little strength to step it, then the door stopper will be fixed. It is quite useful for elder people. 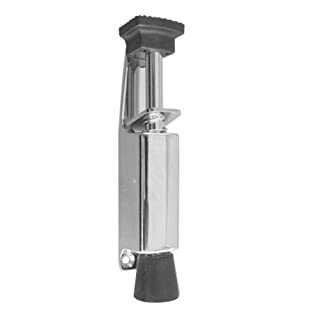 - The soft rubber made door stopper can protect your any kinds ground or carpet. once stepped down, it will be fixed firmly, specially provided for children through the door. 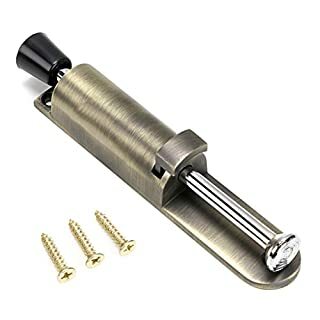 - This Door stopper is processed with wire drawing, making it shining and fashionable. - It is a perfect partner for your home or office doors.Specification: - Material : Zinc alloy - Size(LxWxT): Approx. 148x28x24mm/ 5.82x1.1x0.94inchPackage Includes:1 Piece door stopNote:Please be reminded that due lighting effects, monitor's brightness/contrast settings etc, there could be some slightdifferences in the colour tone of the website's photo and the actual item.Item Measure by hand, it could be 1-2 cm different. hope you can understanding, will be sincerely appreciated. 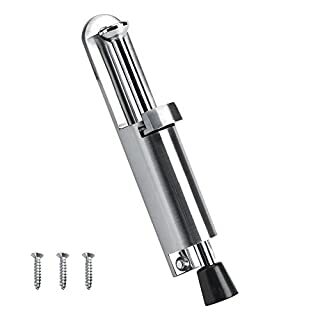 Chrome Plated Kickdown door stop. 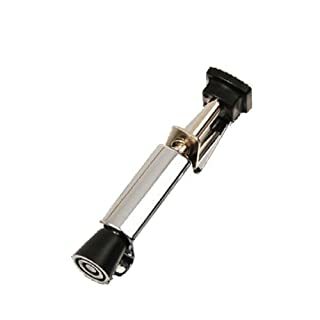 Specification: Made of high quality Zinc Alloy material, very durable and not rust. 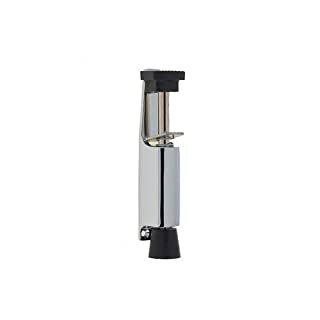 Excellent design, with a spring loaded plunger throw and a large soft rubber foot for good holding power. 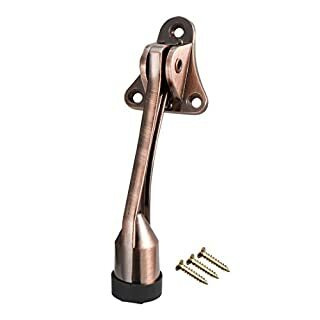 This holder works best when it is installed on the frame side of the door so that the door pushes against the holder when trying to close. Slim profile and sleek design blends with your decoration. Features:Type: Door Holder Material: Zinc Alloy Size: 153*30*140cm(Approx.) 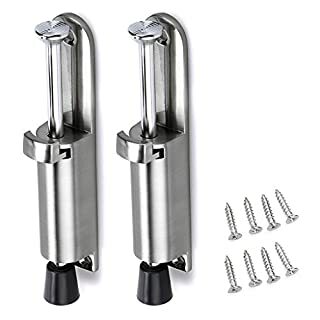 Package includes: 1 set x Door Holder Notes: Due to the light and screen setting difference, the item's color may be slightly different from the pictures. Please allow slight dimension difference due to different manual measurement.